Anaha is the newest luxury condominium in the coastal community of Ward Village, the first LEED-NDÂ® Platinum Certified Neighborhood in Hawaii. Anaha is located within walking distance of Kewalo Basin Harbor, Ala Moana Beach Park, and Ala Moana Center. The high-rise tower boasts a distinctive architectural design, a one-acre amenities deck, and concierge services. In 2018, a flagship Whole Foods Market will be opening across the street. This spacious 3 Bd/3.5 Ba residence features a 9-foot ceiling and is situated on the preferred Diamond Head/ocean corner of the building. The residence is appointed with hardwood flooring throughout most of the unit, quartz counters, European cabinetry, Miele kitchen appliances, and walk-in closets. Comes with 2 assigned parking stalls and a storage locker. 2 Parking Spaces. Assigned Parking Space, Guest Parking. 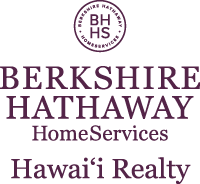 I am interested in 1108 Auahi Street UNIT 15-A (1>, Honolulu, HI 96814. Sign up for Inside AccessTM to view recent sales near 1108 Auahi Street UNIT 15-A (1>.